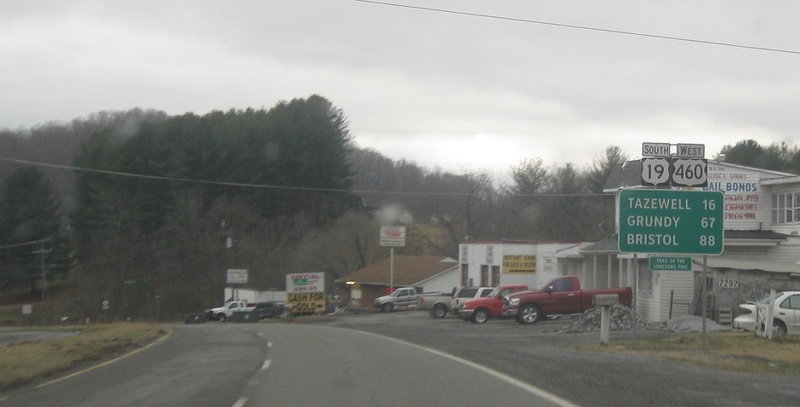 Two blocks later, turn left to stay on 19/old 460. 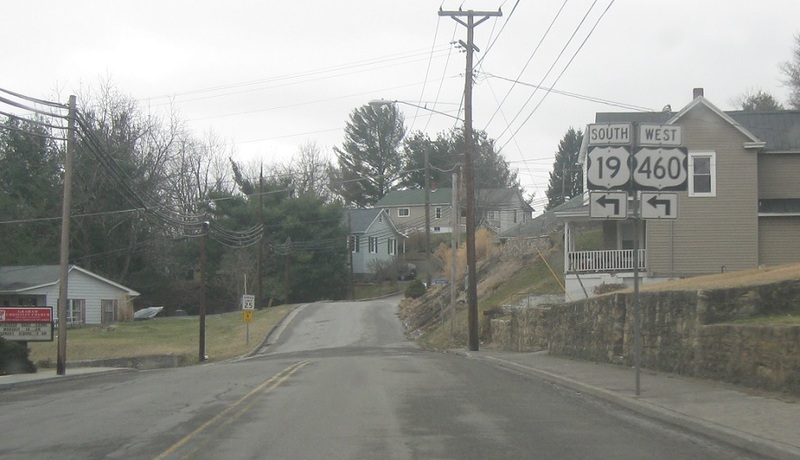 Turn right to return to SR 102. Reassurance shield a few blocks later as the road forks. 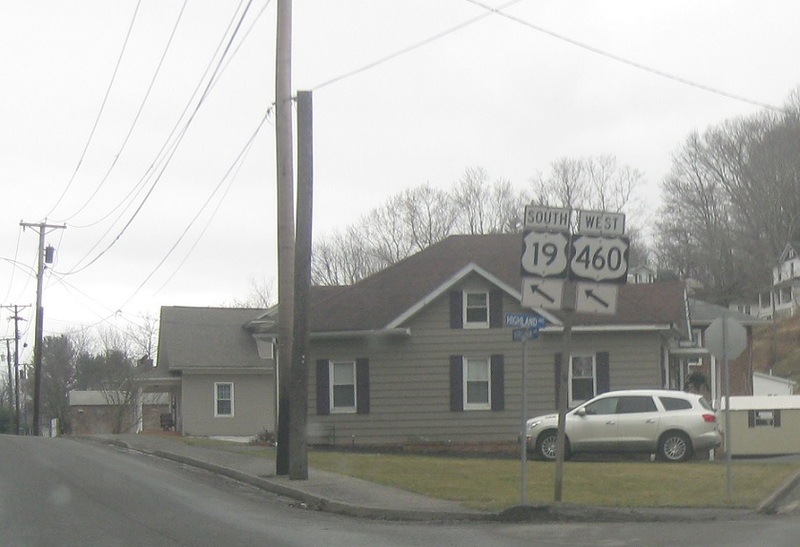 A couple blocks later, 19/old 460 make a hard left. And then a hard right. 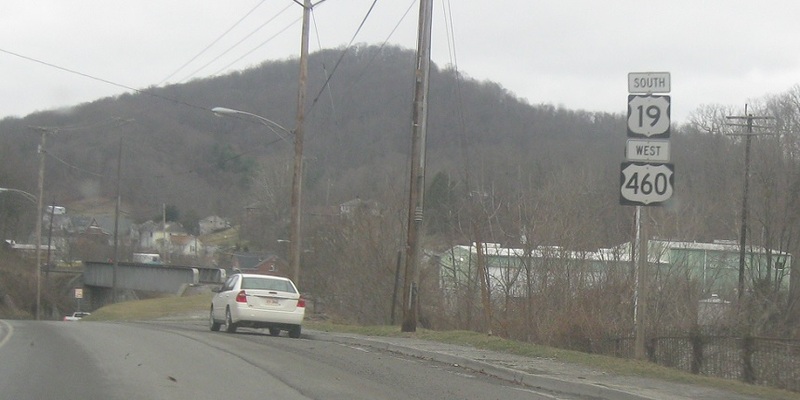 Reassurance shield as we head out of Bluefield. 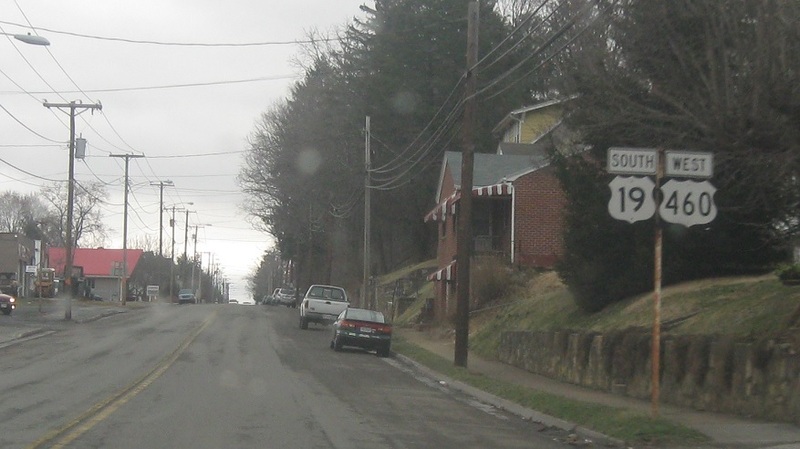 Turn right ahead for SR 650. 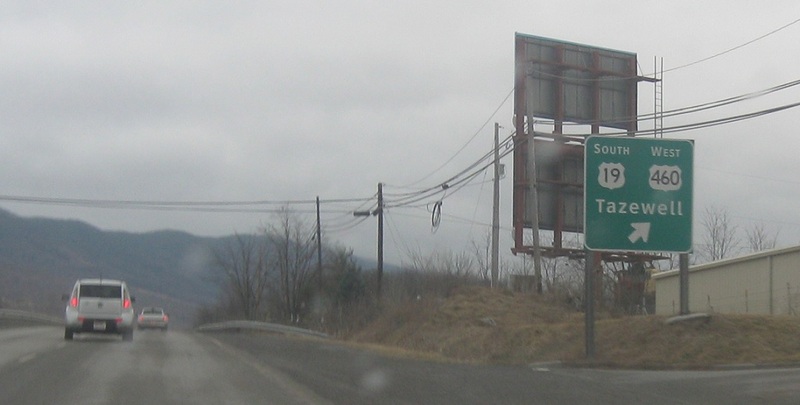 Turn right for SR 640. 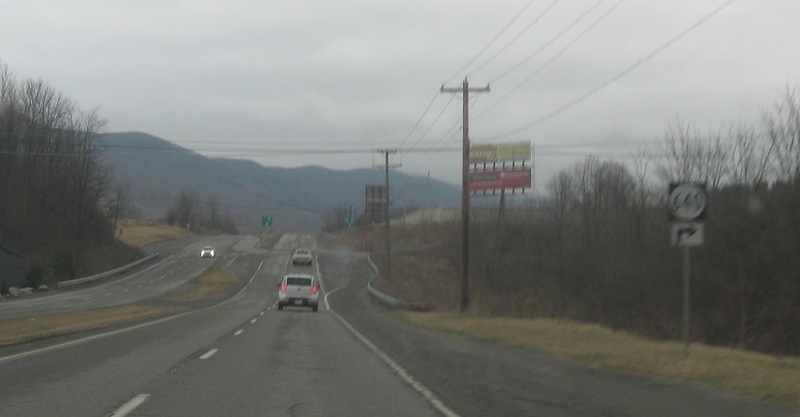 It is my policy to not include secondary highways for Virginia for now – BUT if I ever set out to drive every mile of state highway in Virginia, I will be attempting to do the secondaries. 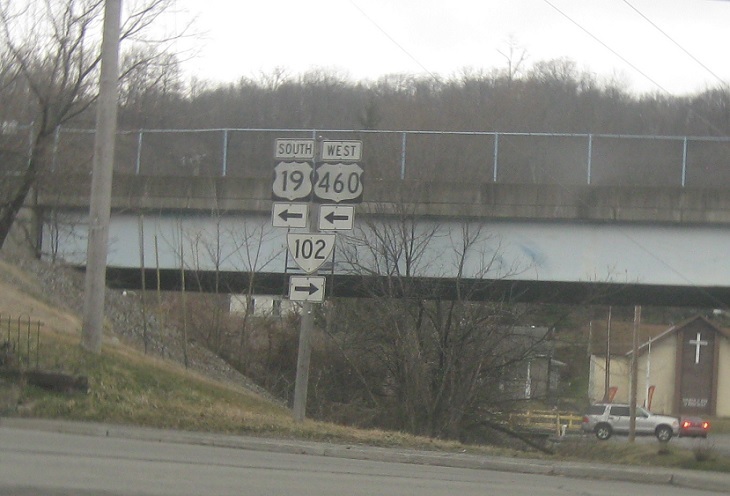 Just after that, exit right for 19 south, which finally actually joins 460 west. 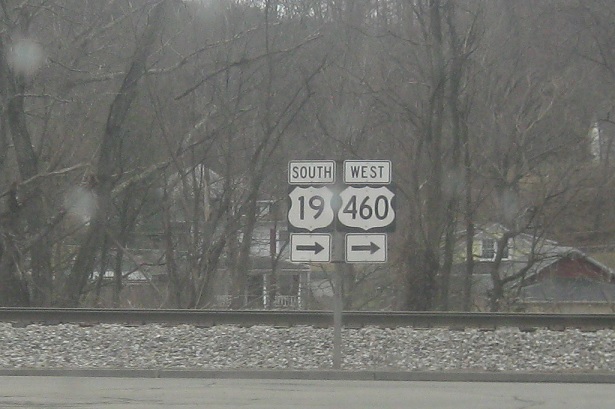 Turn left here for 460 east towards Princeton, W. Va.